Get that weekend look on point with this mega babe vest top. 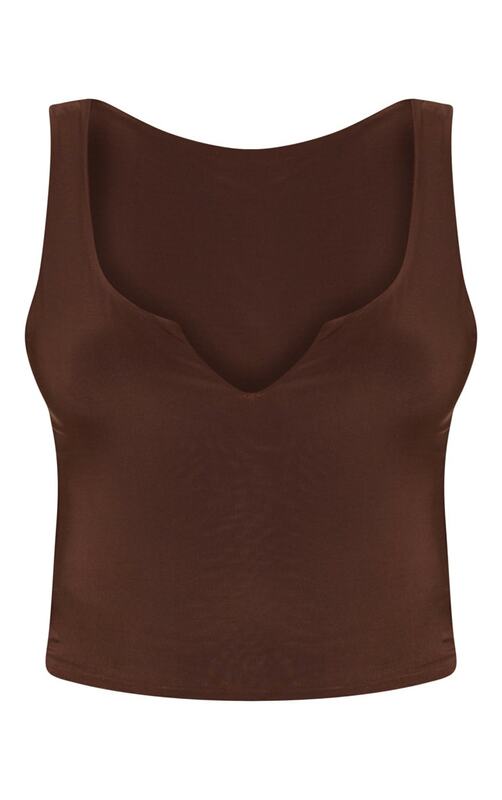 Featuring a chocolate slinky material in a flattering V neck design, what's not to love? Finish off the look with cropped slinky leggings and add accessories and clear court shoes for that ultimate Saturday night look.